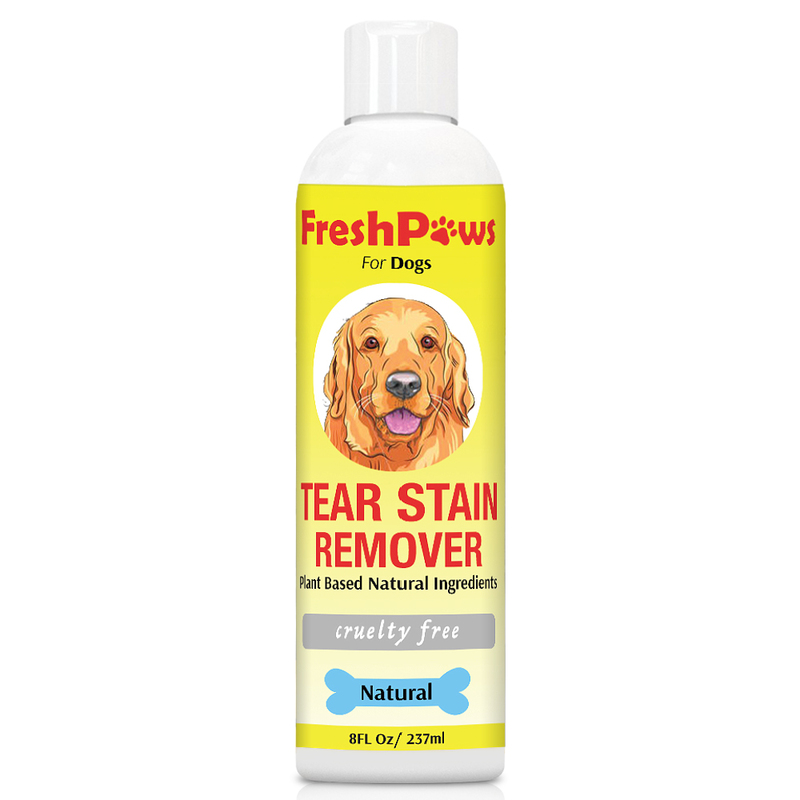 I just tried out this great tear stain remover from Fresh Paws. We have two pugs and two Boston terriers and they both are breeds that have protruding eyes so they often get a lot of build up from their tear ducts around their eyes as well as mucus from the eyes and nose. This tear stain remover is a great product to help eliminate stains and build up around the face. Just simple put some on a cotton ball and wipe it around the dogs eyes and nose, now don’t get it in the eye but around the eye. It eliminates any staining they have and build up. We use it on our dogs all the time and it works great.